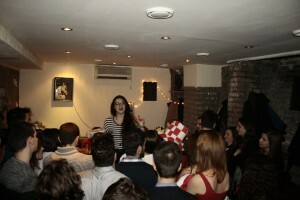 After a successful New year event in 2013, AEGEE-Beograd is doing it again. From the 27th of december to the 2nd of january, the Serbian locals will host 40 AEGEEans who are ready to greet 2015 in the Serbian way. The AEGEEan spoke with Miljana Vulevic, who is the main organizer of the event, in order to discover something more about it. The AEGEEan: After last year NYE (Follow the White Rabbit), why did you decide to organize another one? 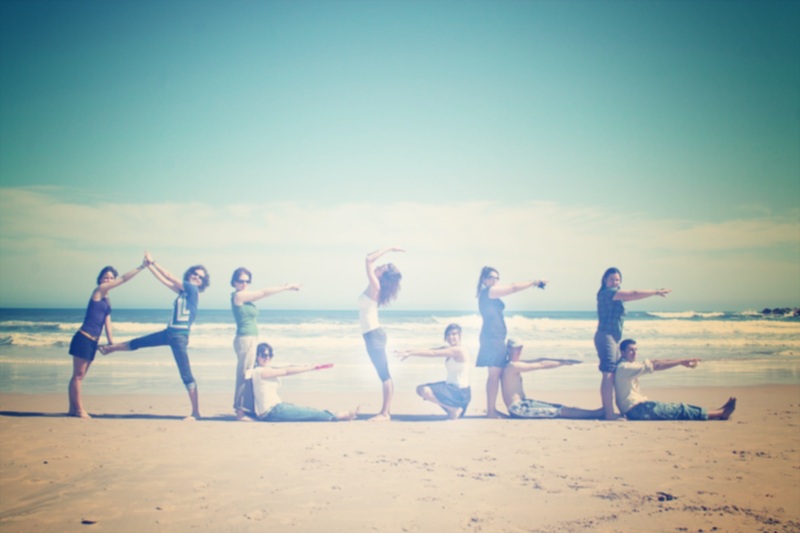 Miljana: The answer is quite simple: the last one was a big success! All of our participants left Belgrade full of stories and with big smiles on their faces. Also, in Cagliari I got many questions whether we were organizing a NYE this year, so we kind of decided to do it again this year. The NYE name Frozen in Beograd and the sentence “Let it go” in the application are clear hint to Disney’s smash Frozen. Why another Disney themed NYE? 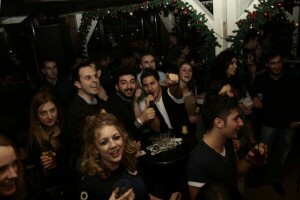 Well, again, it is last year’s NYE [she laughs]. It carries really great memories and it is a very special event for our antenna, so we sort of got nostalgic and decided to go for another fairy tale themed NYE. Or maybe it is because there are so many girls in our antenna, I can’t really tell [she laughs]. Can you explain briefly the programme? What participants should expect to do? Well as always, we are going to give our best to show what the best Belgrade has to offer. From the sight-seeing to the best clubs and hidden awesome spots in our city, we always insert all the Belgrade must-sees in our programmes. Kalemegdan fortress and a grand park that surronds it is a perfect location for a treasure hunt, bohemian quarter Skadarlija is not as big as Monmartre, as some like to call it, but definitely has some special je ne sais quoi. Knez Mihajlova Str and Designer District, located close to each other offer perfect shopping experience. Zemun,once a city now a part of Belgrade, hides some great stories in many baclonies in the neoclassical buildings that fill out the its center. Gardosh hill is famous for countless kafanas [typical local bistro ed.] and the breathtaking view you can get from its top. We will show it ALL to you. Of course, we prepared some fun and educational workhops that will introduce you to basics of Serbian culture, language and our national dance – kolo. A part of city tour and workshops, what is going to be the highlights of the event? Well, apart from the exciting programe that will make you discover the very best of Belgrade and share our culture with you, I must say that we have something really special for the NY party (but it will be a surprise). I am telling you, this event is going to be legendary. 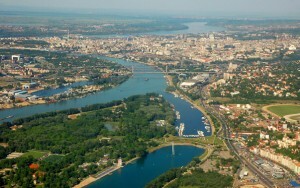 In few words, why AEGEEans should choose Belgrade as the place for their New Year’s celebration? Belgrade is kind of magical in the winter. It is cold, but just the right amount of cold, and with all the parks full of trees covered with snow, it all gets some fairy tale feel to it. In your event presentation on intranet you mentioned the famous Balkan spirit. What is it about? Oh wow, how much time do you have? [she laughs]. I will try to summ it up and say Balkan spirit is a blend of unparallel hospitality, great energy, love of great Balkan music and the unique kafana atmosphere, fiery passion and just lust for life! Balkan spirit is something you should experience, any descrition simply does not do it justice. Do it in Belgrade this December! ← Celebrate the New Year with AEGEE-Kyiv and AEGEE-Moskva… two countries, two Capital Cities!